SLIM LINE CAVIRF is a modern device for body reshaping, removal of cellulite, fat and wrinkles. It combines two of the most effective technologies: CAVITATION and RADIOFREQUENCY. Contact us Contact us for pricing. • A medium sized handle with multipolar radiofrequency for the treatment of the upper part of the hands and decolletage. Fair “Kozmetika” in Celje on the 5th and 6th of February 2011. Visit us! ART-PE is a firm, which started business in hairstyling and cosmetic industry in 2003. 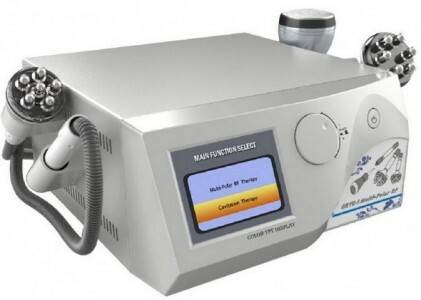 In recent years we specialised for selling so called IPL lasers, which were proved through many years of use as the only and most effective systems for permanent removing of hair and treatment of many other troubles on a skin and with a skin. Write us to info@eliteiplrf.com or contact us through our contact form.